If you’re looking for Instagrammable places in London, you’re in a right place. Just like you, I’m an Instagram-addict and I’m constantly looking out for some photogenic places in the capital. Today, I finally visited sketch and I can tell you that it’s the most Instagrammable breakfast in London I’ve seen and tried so far. Check my post about the most Instagrammable places in Edinburgh, Scotland! You probably have seen photos from sketch without realising that it’s actually sketch. Do you maybe remember some weird cabins that look like eggs? Colourful ceiling? 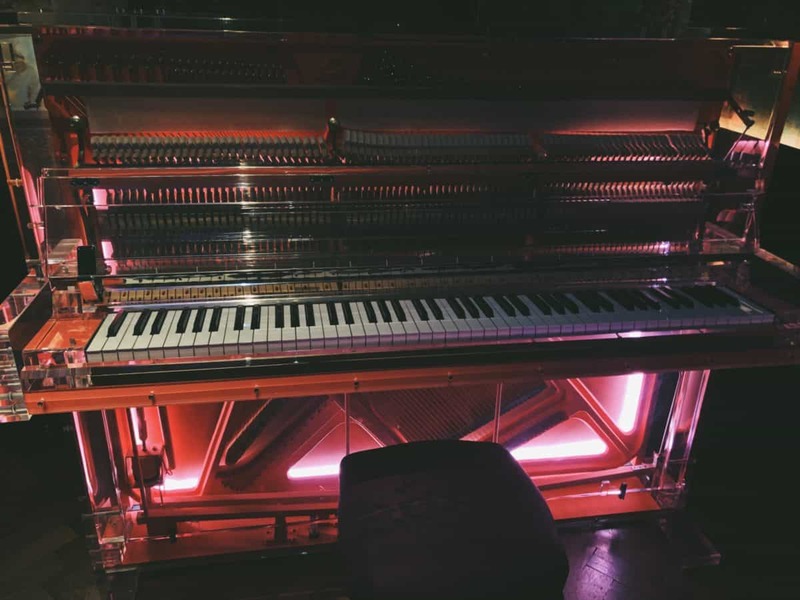 A perfect pink room? Yep, all that (and more) is sketch in Mayfair. 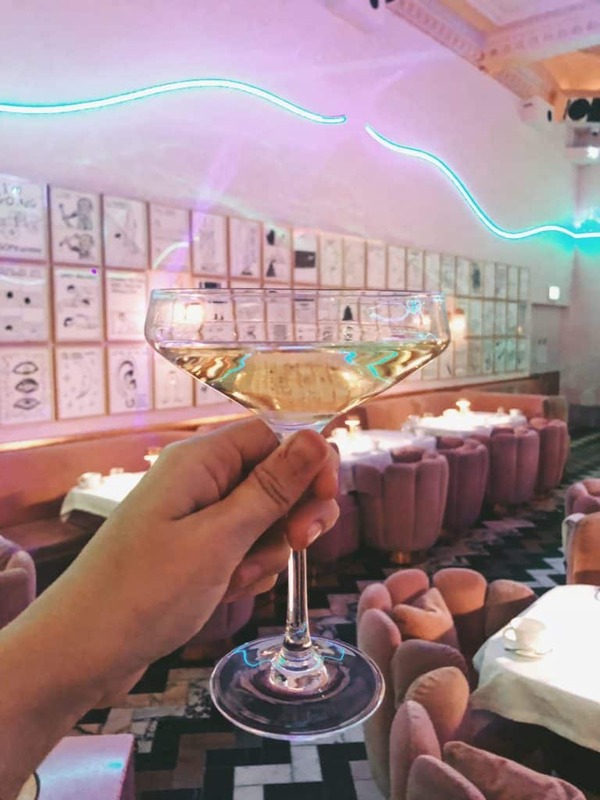 Located just off the Regent Street around 5 minutes walking from the Oxford Circus tube station, sketch is a perfect place to have a breakfast, brunch, lunch, dinner or Afternoon tea. Since we only tried breakfast in sketch, that’s the only meal I can describe it to you. If you want to guarantee your spot at sketch, you need to book in advance. You might be lucky to get a table when you walk-in (especially in the Parlour), but that’s nearly impossible during the busy times. sketch works from 7 am (you can have a wonderful breakfast before heading to the office) until 2 am – so pretty much all day long. The Parlour, The Glade, The Gallery, The Lecture room – what to choose? sketch is unique in a sense that every room is different. Some rooms are more Instagrammable than others, but all of the rooms are undoubtedly impressive. My favourite is probably the Gallery – it’s the large pink room that looks like a selection of cupcakes. You can have either Afternoon Tea (from 11:30 am to 4 pm) or Dinner there. We were lucky to have breakfast – there was a special event – preview of the Christmas installations. 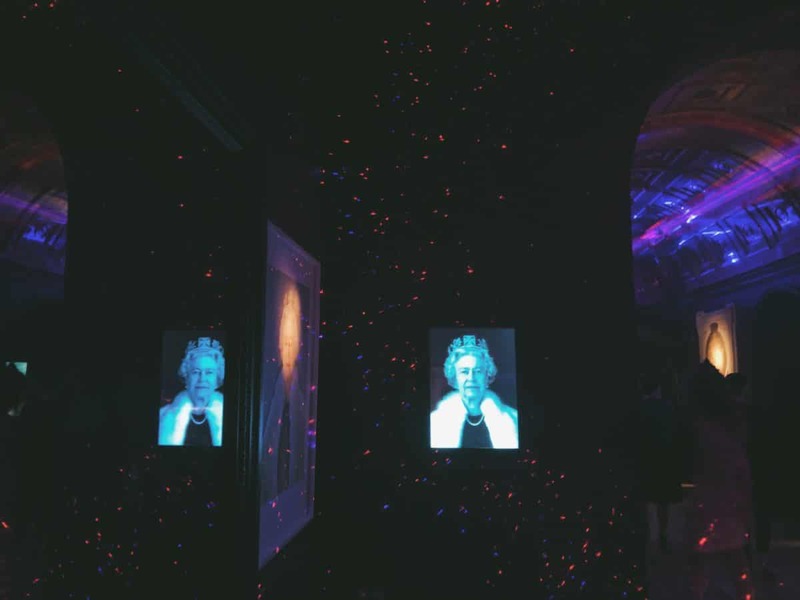 More about the Christmas Installations in sketch you can find below. We were also sitting in the Parlour for a while – it’s the first room at sketch – just at the entrance. It’s available for walk-in and serves delicious breakfast and brunch. You can also have breakfast and brunch at the Glade – it’s extremely photogenic and looks expensive and exquisite. It’s the room with green colours and beautiful paintings on the wall. In order to eat there, you need to book in advance. The Lecture Room is a Michelin-star restaurant that serves lunch and dinner. It’s expensive and very impressive as well. Finally, there is the East bar – which is a lounge for drinks and pre-drinks. Now you might wonder why the Gallery looks a bit different on my photos. 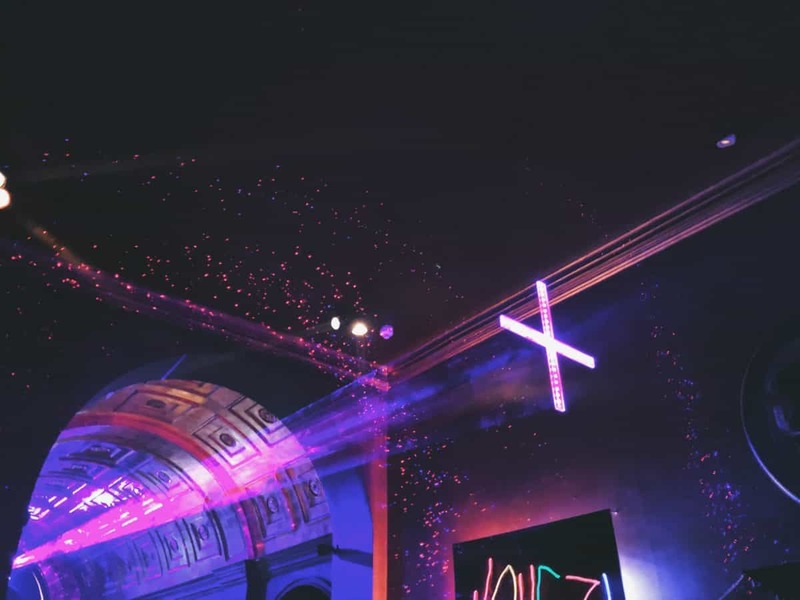 That’s because of the Christmas installation created by Chris Levine – it’s a unique laser show inspired by solfeggio sound frequencies. It’s really impressive and makes the Gallery look dark and really, really cool. We tried a selection of small dishes for breakfast, however, if you’re a normal customer, you’ll have to choose a normal-size dish. My favourite was “9 Conduit Street” – poached egg with black pudding, Portobello mushrooms, bacon and tomato. It was super delicious. 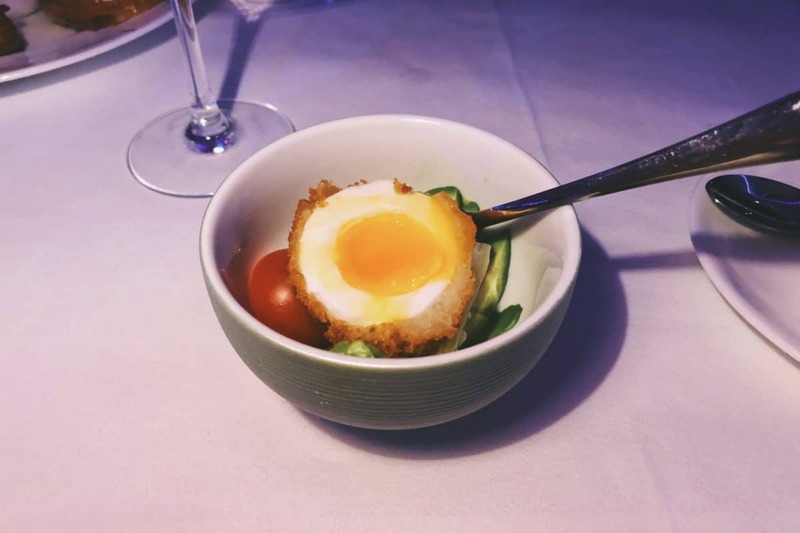 We also tried a Scotch egg with avocado and sketchup, which was good! Also, the Granola was just perfect – very smooth and tasty and the bowl of seasonal fruits was just what we wanted to start the morning. All that was accompanied by a glass of Champagne (what a nice way to start the morning) and a delicious Chai tea. To be honest with you, I must say that I liked a lot the food at sketch and it’s definitely worth the money. 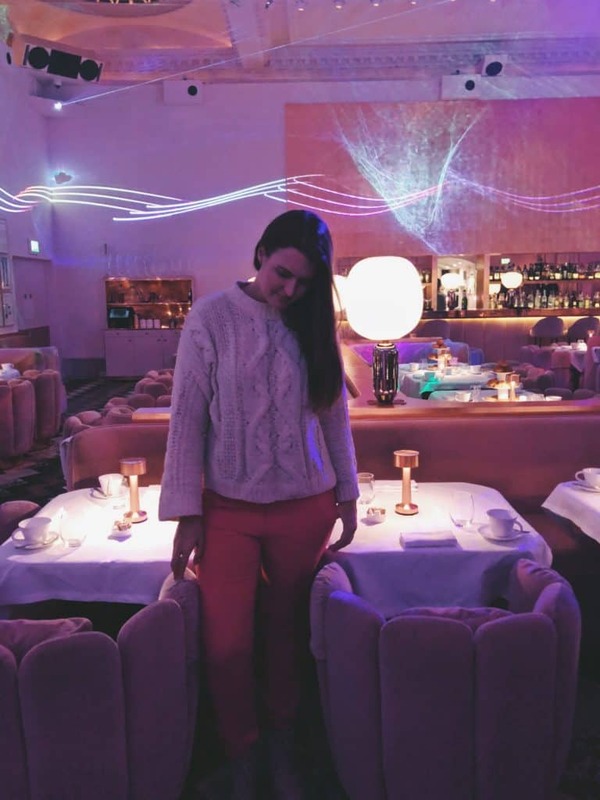 As for the prices – you won’t be able to find them online, but I must say that they are the same as in the other brunch places around London, except for more elaborated dishes with truffle or caviar – there are more expensive. You can reserve a table online using this link. 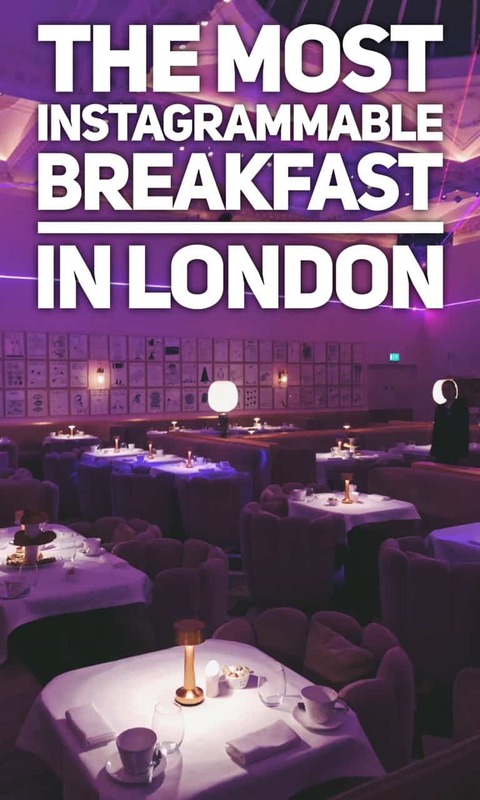 Huge thanks to Sketch for hosting us today – we enjoyed the very instagrammable breakfast in London a lot! 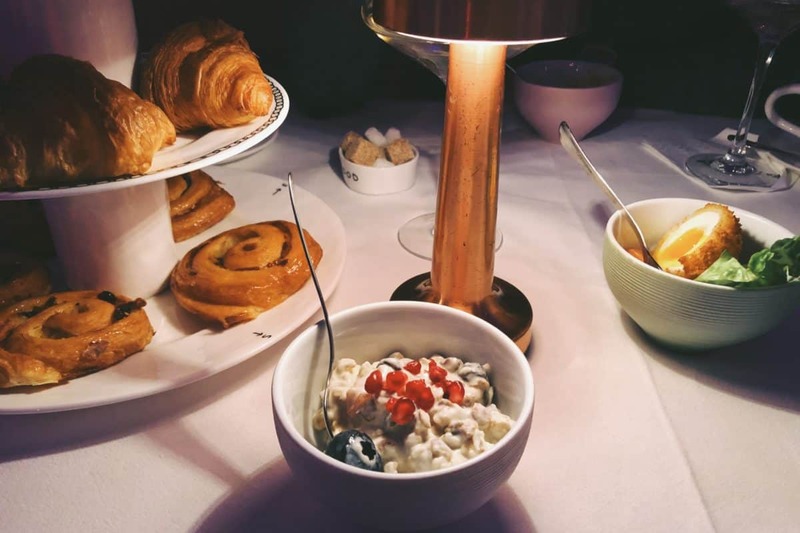 Liked this post about the most instagrammable breakfast in London at sketch Mayfair? Save it on Pinterest! Moving to London – What is the cost of living in London?